For March 2018, we want to highlight our clients, Yovanny Soto and Heidi Andrade, and their really cute kids. On February 7, 2018, Yovanny was admitted to the U.S. as a permanent resident after living in the U.S. without status for 18 years. Since he was a child, Yovanny has worked while going to school to help his elderly parents provide for his 16 siblings. After his father was murdered in Guatemala, Yovanny fled his home with the hope of safety and a better life. In about 2012, Yovanny met Heidi Andrade, with whom he became friends and quickly started dating. Mr. Soto became a loving father to Heidi’s first child, Jason, and they started to build a home filled with love and respect. In 2014, the couple got married and they now have two more children, Justin and James. Since his arrival to the U.S., he was worked to provide for his family and has risen to the position of manager at an asphalt company. Yovanny and Heidi hired Benach Collopy to fix Yovanny’s unlawful status. Heidi, as a U.S. citizen, petitioned for her husband. However, his unlawful entry into the U.S. made it impossible for him to seek residence in the U.S. He needed to travel to Guatemala to seek an immigrant visa but which would also subject him to the ten year bar to returning to the U.S. We demonstrated to the Citizenship & Immigration Service that Heidi would suffer extreme hardship without her husband. 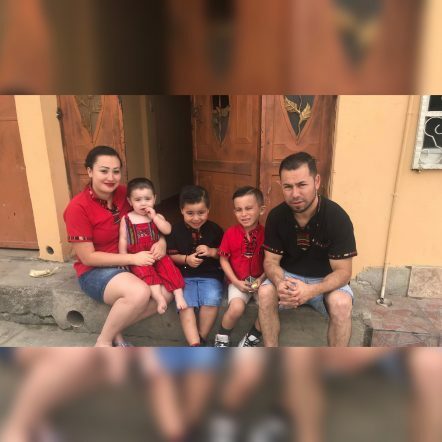 With a I-601A waiver, Application for Provisional Unlawful Presence Waiver in hand, Yovanny was able to travel to Guatemala for the first time in nearly 20 years. He was interviewed in Guatemala City and granted an immigrant visa to reenter the U.S.
We welcome him as a permanent resident of the U.S.